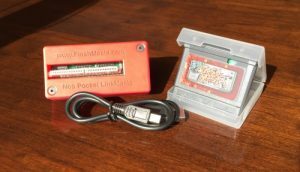 Please see this article for more information on the new Neo Pocket Flash Masta USB that’s in the works. The following information is left intact until the new version is fully ready for sale. Here is where you can get bundles of the “Neo Linkmasta” and the “Neo Pocket Flashmasta.” I’m making these available as they become ready, to see how interested people are. If they’re sold out, PayPal will let you know. Otherwise, if you can pay for it, there’s one available. When I notice that they’re sold out, I’ll edit this page to reflect that. Please keep in mind that these are hand assembled. They also have hand cut pieces. No two bundles will be exactly the same. Some parts may not be perfectly straight, especially where the case and socket were cut by hand. There is a lot of effort that goes into making each of these, but cutting plastic is not my strongest skill. You get the Linkmasta in a nice translucent blue case, a Flashmasta SW in another cart’s case, and a USB cable to hook from your PC to the Linkmasta. If you want to be notified of news and when things are available, please add yourself to the mailing list. Bundles include a Flashmasta, a Linkmasta, and a USB cable. This new flash cartridge called the “Flashmasta SW” has a switch that you can see inside of the small hole in the cartridge case. Switching it selects which “bank” is loaded as the base of the cart. 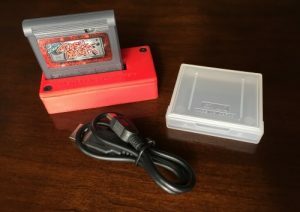 NGPC carts can go up to 32megabit. A 32mbit cart is actually 2 16mbit chips. The vast majority of the time, you’d use less than 16mbit of the cart. This means that the other “high memory” chip is sitting completely unused. Well, I developed a mechanism to switch which chip is the high and which is the low. What you can do is write a 16mbit or smaller game to your Flashmasta SW. Then, you can switch the switch and write another 16mbit or smaller game to the Flashmasta SW’s other chip. Now you have 2 games that can be selected via switch. If you wish to purchase one and it’s sold out, please use the form below. That way, I will know that there is someone interested in making a purchase. I’m always making more, but this gets me moving a bit faster. Everyone that contacts us also gets told to add themselves to the automatic email list to get updates when a new post is published on this site.